Price is R500 for all matt Black and Silver flutes and R570 for colourful flutes. 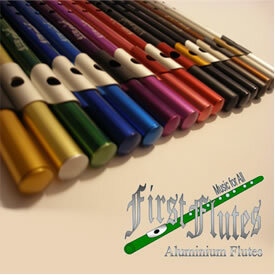 Flutes will be posted within 2 days of order and payment. Local South African Postage time is 4 days. Airmail to the rest of the world is about 10 working days. You will be emailed the tracking number of your flute parcel as soon as it is posted. Overseas postage varies according to destination. Please send your enquiry directly to Richard@firstflutes.co.za and Richard will come back to you with a cost. Contact me via E-mail at Richard@firstflutes.co.za to make an enquiry. I will reply to you with an invoice. You will transfer the money into the account below, with your name as a reference. My bank will notify me immediately of your payment. I test, pack your flute and post it the following working day. I will also e-mail you the tracking number. Your flute should arrive 4 working days later at your local post office. Please E-mail me back once you’ve received your flute.